Even a superficial study of the Mercatox exchange shows that this service has a lot of differences from traditional brokers. Good or bad, time will tell. But even today, without going into a serious analysis of the industry in question, we can safely say that these exchanges are promising and there is a great future for them. In drawing up the financial services provided, they will be able to compete with even the strongest and most promising brokers. But the last moment can still be considered purely theoretical. It is possible that the company in question will not consider other areas of activity, fully focusing its capabilities on the exchange of fiat and electronic money. 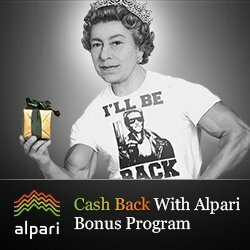 There is quite a logical question: why do we need such a service, if today there is a huge number of exchangers that allow you to change almost any, both digital and fiat money? To answer this question you need to get to know the Mercatox exchange closer. ● Franchise Partnership (more precisely, “White Label”). When one firm produces a product / provides a service, and its implementation is carried out using the first brand known to potential consumers. ● The company is actively involved in trading not only popular financial resources, but also exotic cryptocurrencies or digital money. ● On Mercatox with a positive business reputation, almost any trader can get a loan without any bureaucratic red tape. ● Margin trading on a service rarely contradicts the interests of decent users. ● A loyalty program has been launched on the site, which allows project participants to receive additional bonuses, accruals on the balance of their trading account, etc. To do this, you need to advertise the site on social networks, actively participate in the affiliate program, and also tell about the resource on special forums, blogs etc. ● All important points of the activity of the administration of the resource and its clients are recorded in a special electronic contract. Based on this document, many traders calmly register a login on Mercatox, knowing that they will not become a victim of fraud. ● In case of any problems, violation of financial rights or technical failures of the service, immediately contact the site support service. ● Verification on the marketplace is not mandatory, but when withdrawing a decent amount of money, the Mercatox user will have to go through this procedure. ● The active fight against scammers and scammers, as well as constantly updated software products – guarantee the safety of your money and personal data. ● The availability of a P2P or Peer-to-peer system guarantees the customers of the site a safe and fast currency exchange. And no matter what users change: dollars, euros, military-technical cooperation or Yandex. Money, they will do it quickly and at the most favorable rate. ● The fact that the daily turnover of the exchange exceeds $ 3 million is a convincing proof of its reliability. And even the lack of a demo account on Mercatox does not confuse potential users. In principle, it is even difficult to imagine how this tutorial will work on the service in question. 1. Creating your own currency MERCA. And these are not just familiar cryptomonettes, in their functions and methods of promotion in the market, they resemble classic stocks. Perhaps, thus, the owners are beginning to implement their ambitious plan for the global change in the global financial market. Many reviews about Mercatox tell about this, but few people take such “Napoleonic” plans seriously. Although in the late 19th – early 20th centuries. practically no one believed that advanced world currencies would not be tied to gold. So, there is reason to think. 2. Users of the resource can keep all their money in one wallet (two subspecies – separately for individuals and corporate clients). The opportunity, which, on the one hand, greatly simplifies the work on the exchange, but, on the other hand, enables attackers to quickly access all the resources of a Mercatox client. It is necessary to hope only for professionalism and promises of programmers of this web resource. ● Ability to perform peer-to-peer transactions on the basis of smart contracts. ● And, of course, automatic bidding. 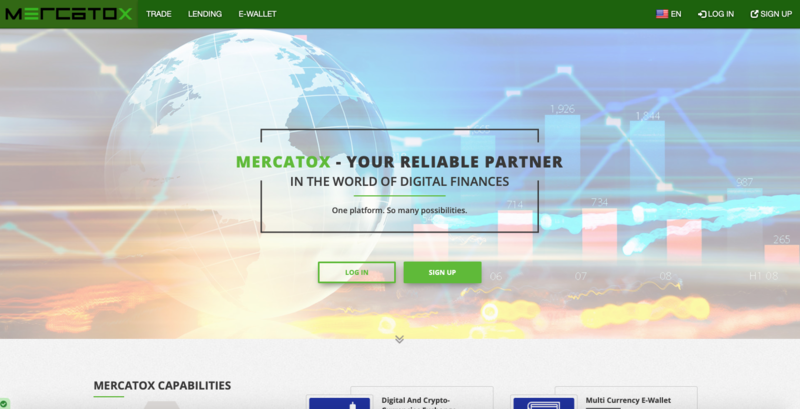 This, judging by the reviews prepared by Mercatox, significantly distinguishes this service from other financial companies. Therefore, some of the classic indicators for brokers in this case do not play a special role and are not considered by analysts. ● Minimum deposits and rates – not set. ● Currency pairs: the Russian ruble, the euro and the US dollar. ● Affiliate program – there is. ● Transaction fees – 0.25%. ● No trade from mobile devices. ● Insufficient amount of information on the official website. ● With a huge number of crypto accounts. To work on the site, you can use popular and little-known cryptocurrencies, currency pairs and digital money. The service administration offers its customers the following types of orders: limit, stop and market. The advantages and disadvantages of each of them are determined by the personal preferences of site users. Григорий on ExpertOption – a review of new binary options trading platformЯ начал работать с этой компанией не так давно, но уже смог реально неплохо заработать. Пока я вполне остался доволен этой компанией.